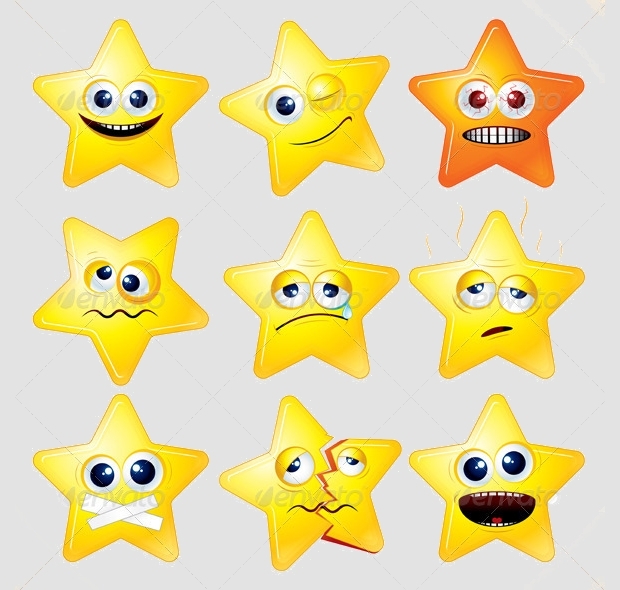 Do you know the feeling where you complete a project and you still feel that it needs something more? 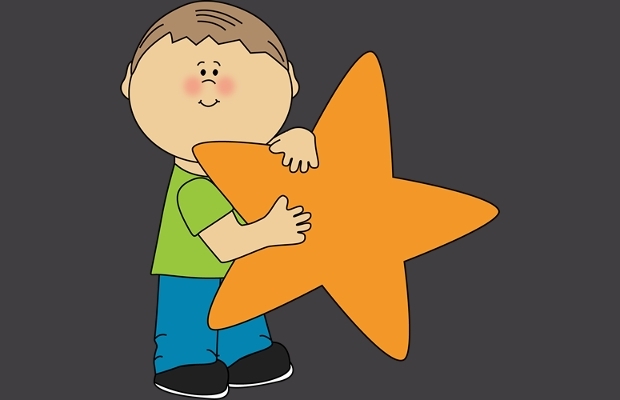 So do we, and that’s why today we set off on a hunt for clipart designs around the web. 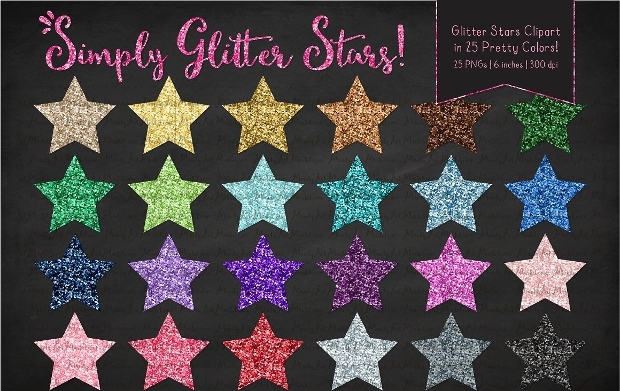 We created a collection of sweet and glamorous star clipart designs to help you create something different from the norm. 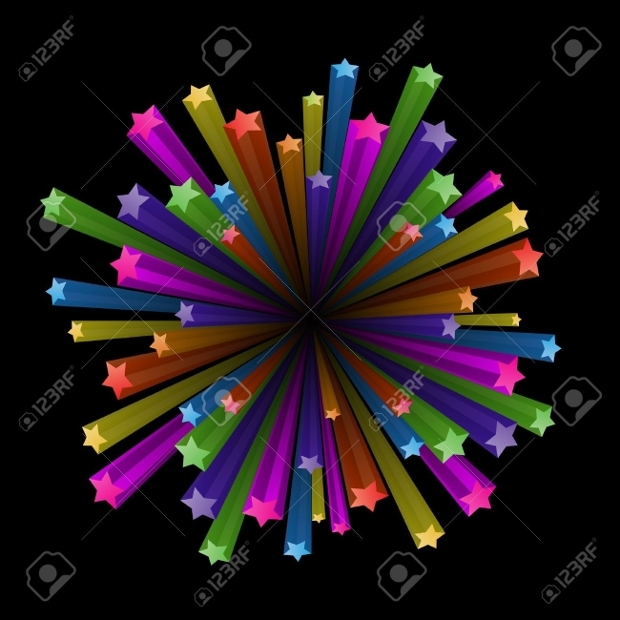 Following, you will find a list of stars in a variety of designs, color combinations and themes. In case you want a design with minimalistic style then this is what you should go for. 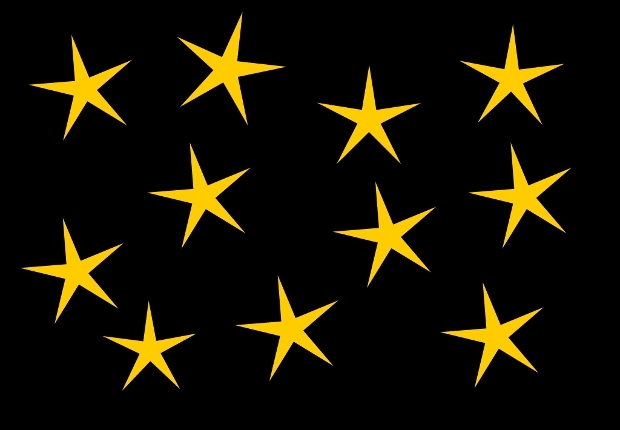 The golden stars scattered around a black background look stunning and come in a svg format file that is suitable for many projects. 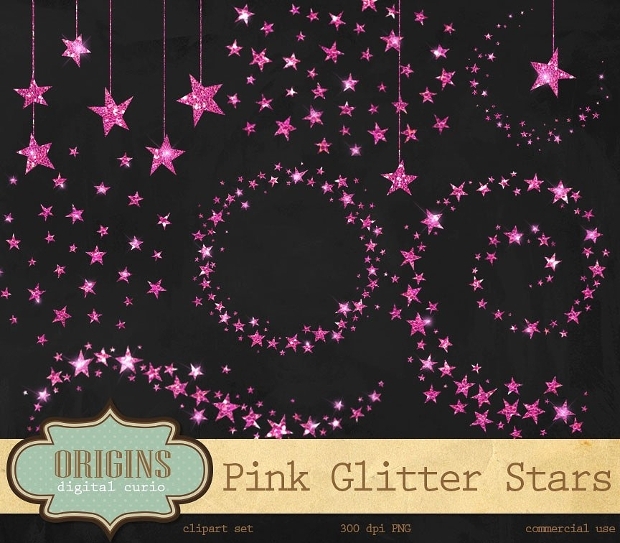 You can get a set of different start designs to use for your projects. 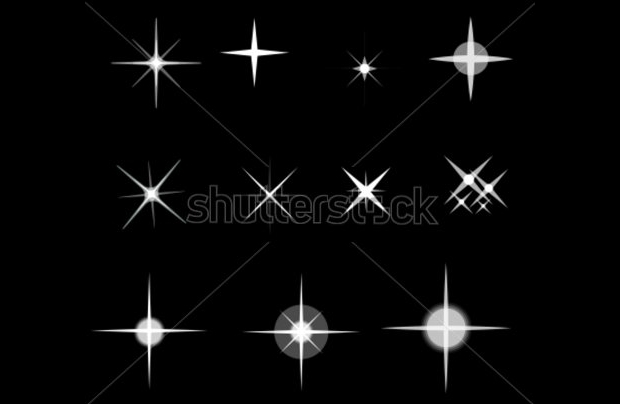 This one has a stunning set of ten stars with different layout and various dazzle effects. They are available in different sizes for a versatile use. 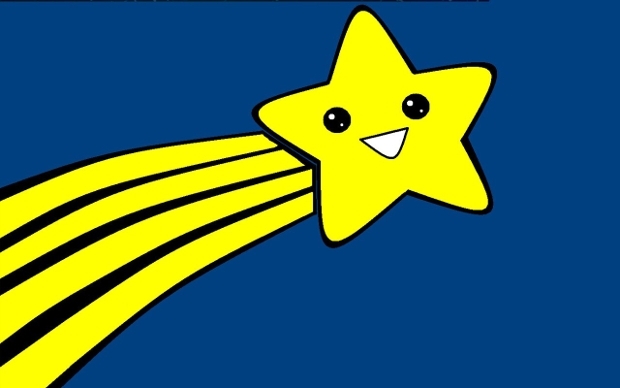 This clipart design of a star has a fun design. 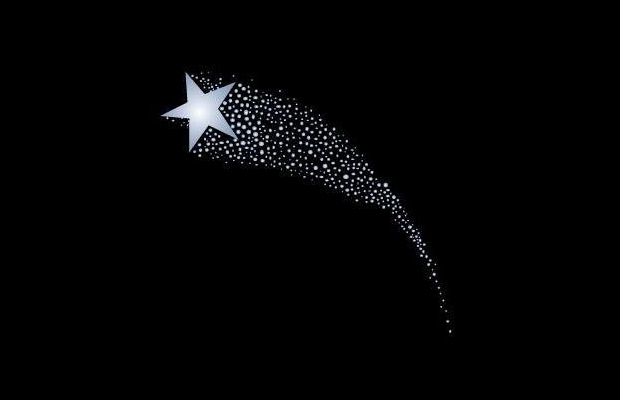 The smiling face of the star makes it look adorable while the long tail adds the element of movement. 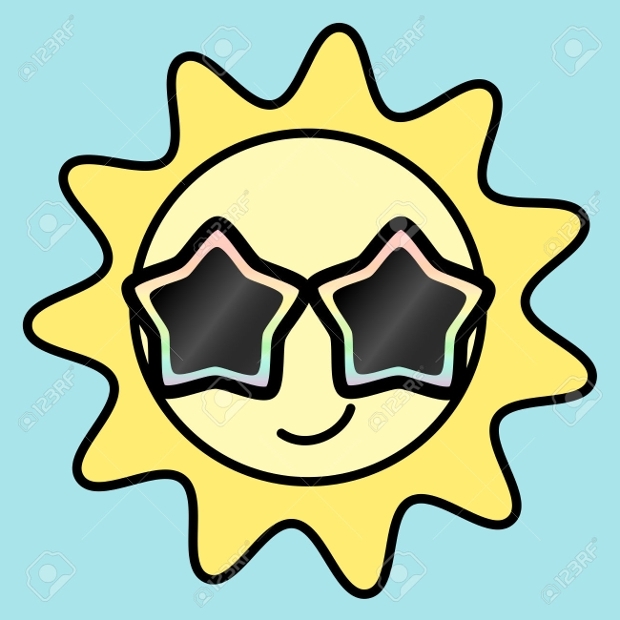 This cartoon start clip art is available for jpg free download. 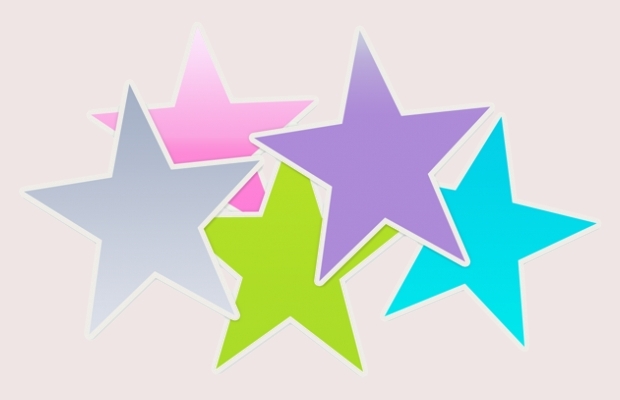 Add some color to your projects with this colorful stars clipart. 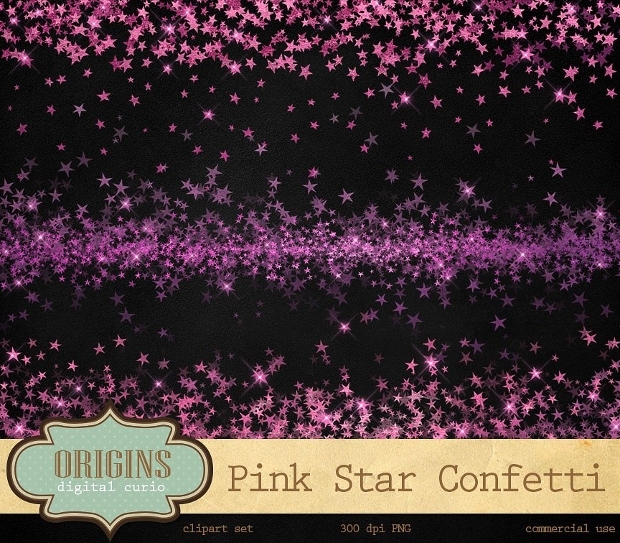 The multitude of colors that erupt in the form of stars brings a stylish touch that can upgrade every project. It is available in jpg and eps format files. 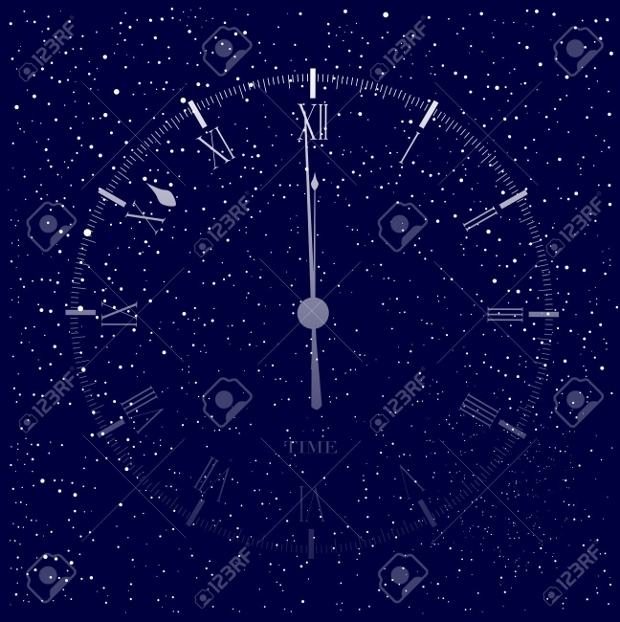 This clipart consists of a night sky background with a cluster of stars decorating it and a big clock that makes the design look high class and elegant. 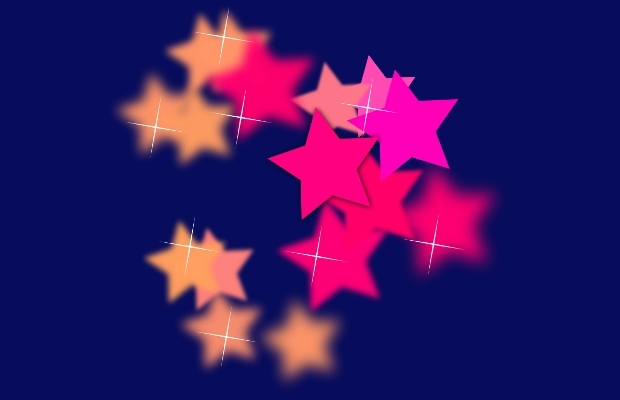 Find this vector in eps and jpg with various sizes to select. 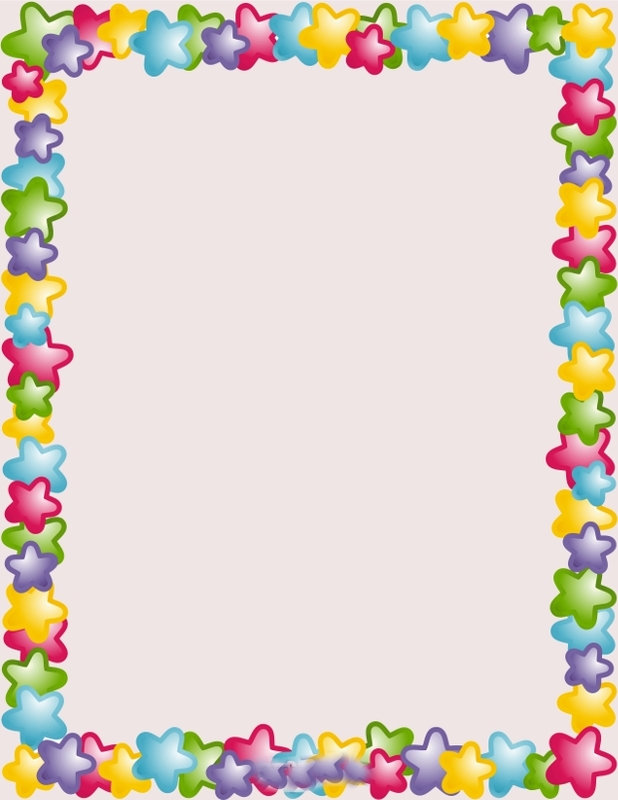 You can use this border design in kid’s party invitations, books, web sites and greeting cards adding a colorful touch with beautiful stars in various sizes. It comes in a gif format along with high resolution for excellent print results. 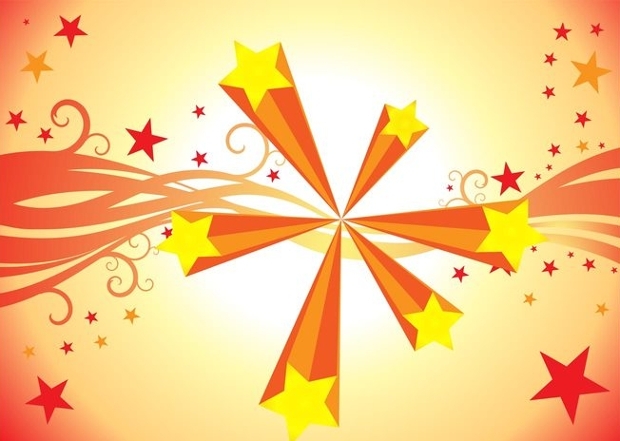 This clipart has five stars that fade upwards in a stylish and modern design. 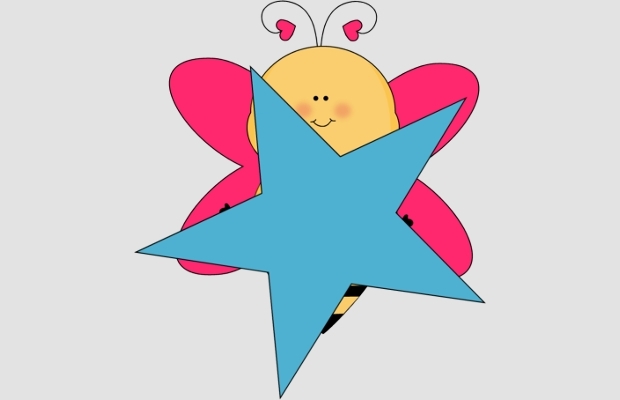 It is suitable for greeting cards, web sites and blogs as well as for background for desktop. 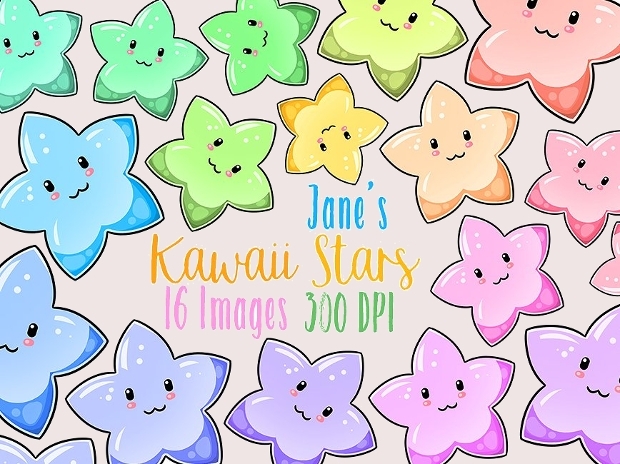 It is available for free download in png format. 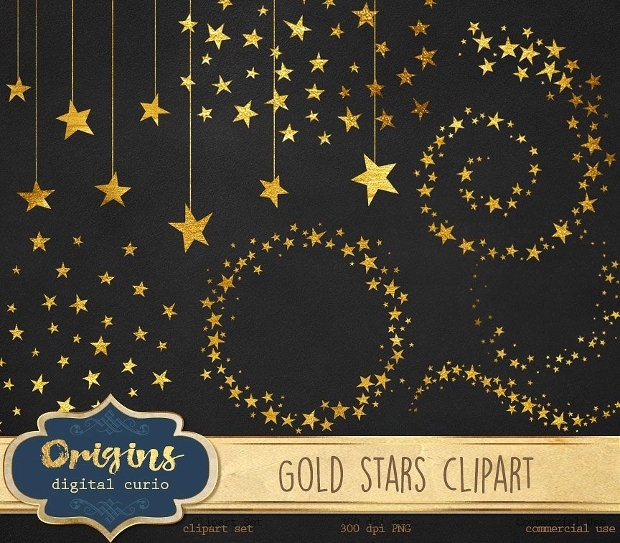 With this design you will get a set of hanging stars, star clusters and starry swirls that will make your projects look fantastic. They are suitable for many projects especially for Christmas. They are available in png and jpg formats. 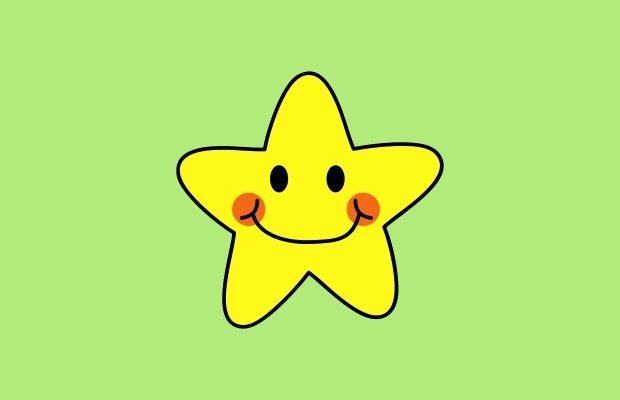 Stars are related to the night. 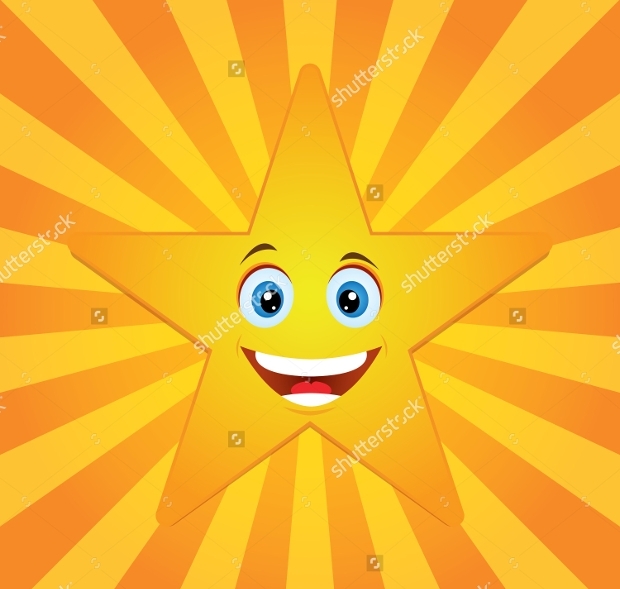 You can check out some of our other posts like the Sun Clipart in order to find incredible designs for stylish combinations with star cliparts. These designs can help you create fun greeting cards for birthdays and other occasions and to style school presentations.